Yee Medicine and Pediatric Associates is a comprehensive health care facility designed to serve entire families — from newborns to seniors. With state-of-the-art clinic locations in Wyckoff and Englewood, New Jersey, patients have a conveniently located clinic nearby. The practice’s founding physician, Sau Yan Yee, MD, as well as Panagiotis Psalidas, MD, and the rest of the specially trained team, provide quality head-to-toe care. While Yee Medicine and Pediatric Associates practitioners can diagnose and treat a host of medical issues, they most commonly help patients manage diabetes, high blood pressure, chronic migraines, and weight fluctuations. Patients of all ages can get routine exams as well as work-specific physicals, including commercial driver’s license exams. The team even offers on-site laboratory blood draws and electrocardiogram (EKG) testing. Yee Medicine and Pediatric Associates is also home to some of the medical industry’s most advanced aesthetic and skin care systems. 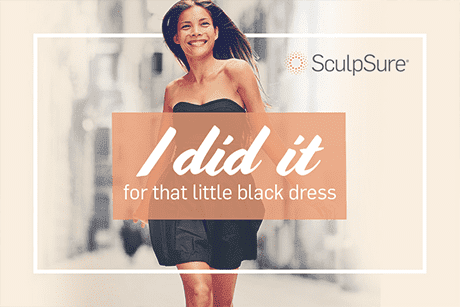 Between SculpSure® noninvasive body sculpting, laser hair removal, and other aesthetic services, patients can enhance their natural beauty. Yee Medicine and Pediatric Associates has team members who are fluent in Spanish, Cantonese, and Modern Greek, in addition to English. With flexible scheduling available throughout the week, including same-day appointments, families can receive all of the innovative medical they need under one roof. "The staff have always greeted me warmly...Dr. Yee is tremendously personable and truly cares about overall well-being." "Dr. Yee is an excellent physician. He cares about his patients and provides caring quality service." "Reliable and speedy service and great rapport with children. The staff is courteous." "The staff is phenomenal. Twice just recently we had two emergencies and we were taken in right away." "Dr. Yee goes out of his way to make everyone feel comfortable, and at easy. He is a great physician, and an amazing human! My kids love him!"